The path of a professional athlete is seldom linear. Setbacks come in a variety of forms. Injuries, losses, cuts, and yips are an all too familiar part of the journey. 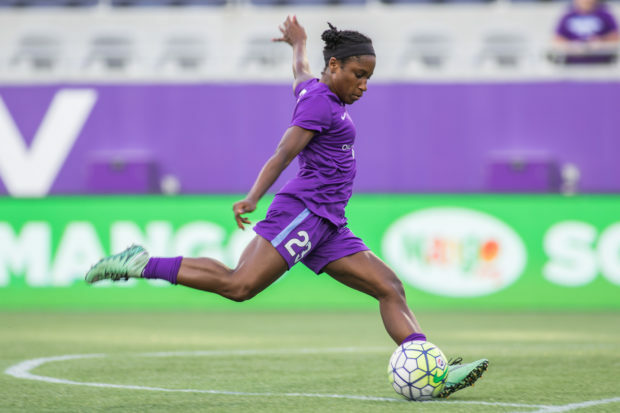 For Jasmyne Spencer, a fourth-year NWSL player now with the newest addition to the league, the Orlando Pride, to say her path to present wasn’t linear is a bit of an understatement. Her journey resembles that of a roller coaster readily found in the mega parks to the south of the city. Growing up on Long Island, Spencer played on a top club team alongside the likes of Vicki DiMartino. From there, the forward would go on to to play at the University of Maryland. When she arrived on campus in 2008, the Terrapins were largely overlooked in the ACC. Spencer and her classmates elevated the Terrapins to new heights and in the process, she became the team’s first player to be named All-American in over a decade. That same season, 2010, the Terrapins claimed a one seed for the first time in the NCAA Tournament. She was a part of the first Maryland squad to beat North Carolina, which arguably says more about the Tar Heels than the Terrapins. It is a feat they would repeat the following year on senior night for Spencer’s class. Following her career at Maryland, Spencer entered the ill-fated 2012 WPS draft. Spencer remembers staring at her computer screen that Friday in January anxiously waiting to see her name. Spencer was ecstatic to see her name pop up when the Philadelphia Independence took her in the fourth round. The feeling wouldn’t last, however, as the league suspended operations before January became February that year. The self-described homebody didn’t know how to proceed after receiving the news. Unsure if going overseas right away was the best option for her, she ultimately decided to play with the New York Fury in WPSL- Elite, a team with a roster that could rival some present day NWSL squads. For Spencer, the team and the league provided a good transition period. After the WPSL-Elite season was in the books, Spencer turned her attention to completing her degree after she had withdrawn from school the previous spring in hopes of playing in WPS and was unable to re-enroll once league operations were suspended. She opted to study abroad in Denmark for her final semester. The speedster wanted to continue playing while in Denmark so she went on a few trials. That led to her finding a spot with Brondby IF where she played in the Champion’s League as an amateur. 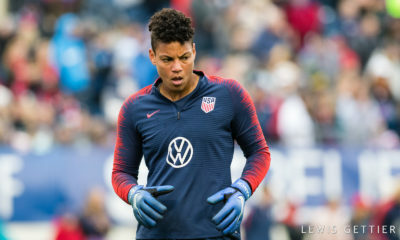 Her efforts earned her a contract with the Denmark side, but Spencer turned it down opting to return to the United States for a chance at playing in the newly formed NWSL. Once again, Spencer found herself nervously waiting to see her name again, this time in the NWSL Supplemental Draft. In the end, she was taken by the Boston Breakers in the fourth round. Unfortunately, Spencer’s time in Boston was short lived. Undeterred, Spencer drove straight down from Boston to Maryland and trialed with the Washington Spirit and then Sky Blue for two days a piece the week before the final rosters were due. Spencer’s determination ultimately paid off as she earned the final spot with the Spirit. That first season was challenging for the Maryland product and her new team. With a lengthy injury list and an inability to generate enough offense to keep pace, Washington finished at the bottom of the league standings. Spencer admitted that the season was “probably one of the best growth periods” in her career. After an offseason loan to Apollon Limassol FC in Cyprus, Spencer returned to the U.S. and prepared for her season with the Spirit. Just a few weeks out from preseason camp, Spencer was waived by Washington. Another dip in the roller coaster ride. The forward was able to secure a late preseason invite with the Western New York Flash. For the second year in a row, Spencer nabbed the final roster spot for NWSL team. Despite the difficulties and uncertainty she’s faced, the now fourth-year NWSL veteran said she’s never considered giving up. Riley, who coached Spencer as a teenager on Long Island, and again with the New Fury in WPSL Elite, suggested that the difficulties she faced have in the long run made her a better player and teammate. In two years with the Flash, Spencer recorded 6 goals and 2 assists. As her time as professional lengthened so did her minutes on the field. Last year, Spencer played in every Western New York match, starting all but one. Over the years, she’s focused on improving her technical ability through basic exercises like shooting and dribbling drills. Her improvement hasn’t gone unnoticed. This past offseason, the winds of change blew again and the forward found herself on a different NWSL roster for the third time in four years. This time, Spencer was selected in the Orlando Pride’s expansion draft. Playing half a world away for Sydney FC, Spencer woke up to the news the next morning as the draft took place in the middle of the night local time. The struggles of being a new franchise, building a new team, and adjusting to a new environment were challenges that players on the inaugural team could anticipate. Eight games into the season the expansion side had posted a respectable 4-4-0 record. 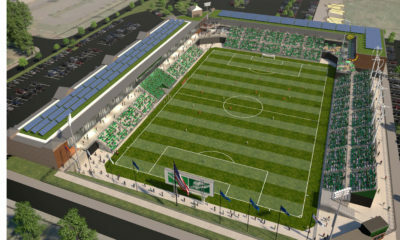 The morning after a 1-0 loss to Western New York in mid-June, the Pride would be impacted by an event that no one could predict. In the early hours of June 12th, a lone gunman killed 49 people and wounded 53 others at Pulse nightclub in Orlando. The shooting at the popular gay club rocked the LGBTQ community and became the largest mass shooting in U.S. history. 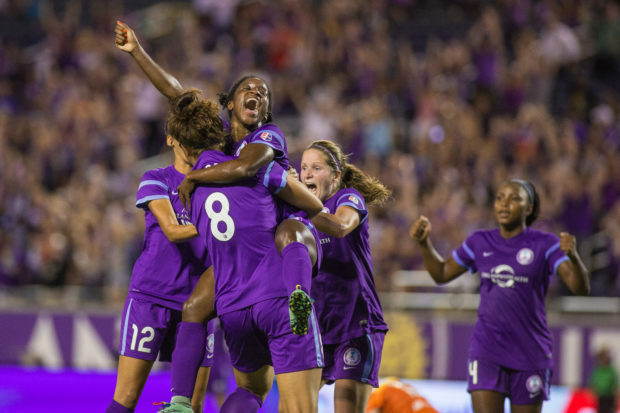 After an emotional game on the road against the Spirit that ended in a 2-0 loss, Orlando returned home for another emotional match against the Houston Dash. After 90 minutes of scoreless soccer, the teams entered stoppage time scoreless but frantically looking for a goal. The Dash nearly had one when a flurry around the Orlando goal ended with a bicycle attempt by Houston’s Rachel Daly. Daly’s shot required a full extension save by Orlando keeper Ashlyn Harris. The Pride quickly sprang forward. With stoppage time drawing to a close, Sarah Hagan connected with Spencer inside the box and she one-time volleyed it for the score. The finish was solid, but not spectacular. The meaning of the goal in wake of the events just 11 days prior, however, was spectacular. For a community still reeling from an act of hate that defies understanding, the goal and the win offered catharsis. For Spencer, whose professional accomplishments include being named Sydney FC’s Player of the Year in 2015, the moment eclipsed every other she’s experienced in her career so far. Much like she had faith that she was meant to be in Orlando, Spencer had faith in her abilities as a soccer player and that faith led her to that moment. 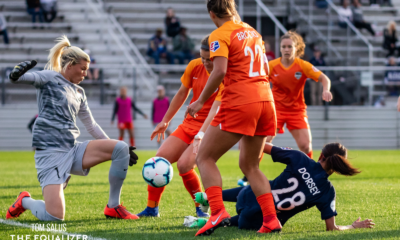 The player who battled to latch onto a roster spot three years prior in the eleventh hour, and then battled to make another squad the next year delivered a last-second goal in a game with reverberations far beyond the confines of the pitch.